Take a look at our new menu with distinct local flavours that leave a lasting impression. 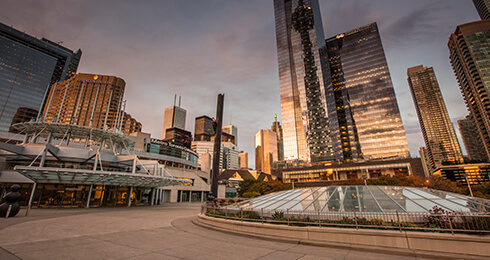 Stay in touch with what’s happening at the MTCC and get access to behind the scenes newsbytes and videos by subscribing to our NEW “Front & Centre” e-newsletter! 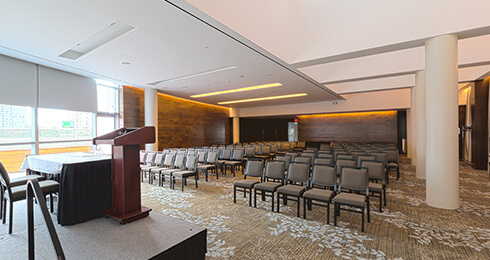 Our new meeting rooms offer events over 11,000 sq. ft. of additional flexible event space in our South Building. The John W. H. Bassett Theatre is a versatile state-of-the-art theatre, ideal for corporate meetings, keynote speakers, cultural shows, film screenings, or any type of unique event that our team can help you successfully execute. Sustainability is at the heart of everything we do, and we offer every event the opportunity to reduce their environmental footprint and give back to the community.